THE USE of half round country roofing burnt clay tiles with some variation goes back to centuries in several parts of India and other parts of the world. Handmade-burnt country tiles are commonly used in the rural areas of Gujarat and Maharashtra. The author’s house in Konkan (West Coast Region of India) is made of mud walls and covered with country tiles. It is like other houses, many older in age, built similarly in traditional manner. The house is built of mud walls with mud plaster, and mud floor, and roofing of country ti8les on scantling of bullies of secondary wood and split bamboo battens. This region enjoys over hundred inches (2500 mm) average annual rainfall. In recent years, some individuals and organisations have fortunately become aware of mud building and traditional methods of construction, perhaps because of publicity to mud architecture in foreign countries: West. Most city dwellers in India are migrants from rural areas, their ties severed with rural India. Those connected with the field of construction have no knowledge of traditional ways. Yet it is positive direction in this country of a vast illiterate majority, that some urban elite is becoming aware of MUD ARCHITECTURE. And perhaps in the course of time it may become as popular as, “KHADI” is today, in spite of the fact that in the countryside, the rural population, illiterate as well as educated, poor as well as the rich, are entering into the cult of English Education and Concrete Houses. The rural population is yet to understand how some people in the city though English educated have become aware of the importance of MUD as material for housing. Many alternatives are being suggested for roofing in low cast housing... from treated thatch to asbestos cement sheets, Mangalore tiles, G.I. sheets, aluminium sheets, precast cement concrete, asphalt sheets, cellulose waste sheets, stone slabs, brick vaults etc. I was surprised to read a remark in one of the publications of National Building Organisation [NBO], which rejected country-roofing tiles as breakable and destructive to timber substructure or supports. In rural low-cost housing undertaken by the outside agencies, the roofing in Mangalore roofing tiles is preferred. The country roofing tiles are rejected by the government and non-government agencies while building low-cost houses. Yet when the people build houses for themselves in rural areas, they continue traditional handmade-burnt clay tiles. Country clay tiles are also called ‘potter’s tiles’. In some parts of India, Kumbhars (potters’ caste) make them, as it is their family tradition. There are two methods of making half round country tiles. One made on the potter’s wheel in cone shape, cut into halves, and baked in kiln. These are mostly crude – not in uniform shape, size and thickness. The other method is to lay a sheet on flat surface, in a form or mould, or required size, shape and thickness. The sheet then is removed and shaped by placing it on a half-rounded wooden block; dried in the shade and baked in a kiln. The potters in the Konkan region of Maharashtra State practice this method as well as the tribal communities of Gujarat State. In the tribal villages of Panchmahal, Sabarkantha, Baroda, Bharuch etc. district of Gujarat state, the method of making is same as described above. However the practice is different. Here the every household makes its own tiles for annual need for replacing broken tiles, as well for building the new houses, or for the making of additions to the old houses. It is a normal practice in the Adivasi [tribal/aborigine] families. Everyone knows the art of tile-making, just as they know the ways of growing crops, building a house, making Roti [bread], rolling Bidis [hand made cigars rolled in leaf for smoking], making cow-dung cakes, manufacturing and playing flutes, and the implements for farming. They know which mud [clay] to select to make a good tile, without the aid of laboratory. The tiles they make are uniform in sized and colour, sound in strength, are waterproof. There is no room for the sub-standard goods here. The tiles to cover the ridge are larger, and sometimes with decorative motif. Tile making is a household CRAFT alike the cottage industry such as KHADI sold from the emporiums for the use of elite and which is seldom used by those who produce it. Country roofing tile is 100 percent labour intensive product. No machine or any factory product is involved in making the tile. Raw material for the tile is fine clay, taken from the fields, or riverbed. The clay is cleaned of roots, gravel etc., then wetted, tempered by legs, and allowed to season for two days. Fuel required for baking is no threat to forest, as leaves, branches, grass, rice husk, cow dung etc. are used as fuel; the P.W.D. Handbook of Bombay Presidency described the fuel as “rubbish”. 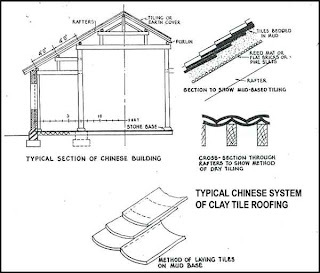 Simple equipments consist: (1) a flat wooden base to make a clay sheet; (2) a form made of bamboo or wood strip (¼” x ¼” size) – for a common tile; (3) a larger form for the ridge tile; (4) half round wooden moulds – one for the common tiles and another for the ridge tiles – to shape the clay sheet. The top of base plate is sprinkled with dry ash from “chulah” – hearth – to prevent sticking. Prepared clay is spread, pressed on the base in a frame, compacted by hand and smoothened by spraying little water. The clay sheet is then removed, placed on the mould and shaped. The mould is removed and the raw tile is left for drying for a day or day and a half. The dried tiles are baked by keeping them in rows with gaps in between them, filled and covered with fuel. If the area is windy, then the kiln is formed in a shallow pit, to prevent fuel from burning out fast, resulting in the tiles being half burnt or over burnt. It takes about four working days for one person to make 1000 tiles. The operation can spread over seven days enabling a person to carry on with other activities in between the whole operation, such as collection of raw material, fuel and water, or household work or farming. The cost is Rs. 80/- to 100/- or more for 1000 tiles, depending upon labour component and cost of equipment. The Mangalore tile is superior to country tile. It is an industrial product, prepared only where large quantity of specific clay is available to sustain the industry. In addition, the product involves high-energy consumption. The distribution takes place through transport system, which adds to the cost, besides commission of the agencies. There is notion that country tiles require a heavier support structure as compared to Mangalore tiles. The weight of both types of roofing together with battens is equal, which is about 14lbs.per-sq. ft. area. However no well-cut wooden battens are needed to support country tiles as in Mangalore tiles. 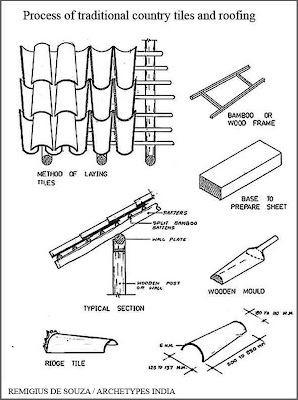 Bamboo battens are sufficient to support country tiles. Poor people use even Carvi (Strobi Lanthes Ciliatus) or other material obtained from the brushwood. The uneven level is corrected by inserting a tile over a batten. Lying of country tiles, so also its maintenance can be done even by a twelve year old child. For Mangalore tiles require perfect alignment is essential to prevent leakage. Two man-days are required to cover 100 sq. ft. of roof area. It is another misguided notion that country-roofing tiles require high maintenance cost. This notion is based on a bias of the urbanites and professionals. It does not take into account the time distribution and occupation round the year of a villager, as well as rural unemployment. Before the monsoon, people remove the tiles, clean them with brooms and replace them. This action is called ‘turning the tiles’. This operation to cover 100-sq. ft. roof area requires 1.5 person-days. It costs at Rs. 15/- per person per day with no specialised skills, industrial equipment or products. Compare this with the cost of maintenance of a leaking R.C.C. roof slab. A bamboo sapling or root (offset) planted in the fence grows into 50/10 bamboos and continues to grow and starts giving return in about three to five years’ time. Thus, the household is not dependent on market supply of bamboo or tiles for construction, repairs or additions to the house. For preservation of bamboo from white rot, the tribal follow a simple method of keeping it in the water for three days before fixing it in the roof. In some areas bamboo are kept in salt water. Self-reliance, low-cost, conservation, employment, sustainable life-style are some of the aspects of economy in housing. 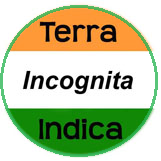 While travelling through tribal areas of Gujarat the author came across several settlements where Government Agencies and Panchayats have distributed Mangalore tiles either free or at subsidised rates. This may be happening in other states also. The government may have noble intentions of giving the poor a good industrial and urban roofing material. It may not be even be a second quality or substandard rejected stuff left-over at the factories. But it is doing a great damage, to the extent of killing the household craft acquired and evolved through generations by the tribal. It is nothing short of weakening their economic independence and skills in such vital areas as roofing their own house. Such an act of charity is making the tribal dependant on factory product and also pushing them even below the poverty line. The government may achieve popularity by this act of support to the manufacturing industry, but this has perhaps a parallel in Indian history: the death of traditional art of famous “Malmal” [the finest textile] Sarees of Dhaka. The substructure used for the country is adaptable to take Mangalore tiles when economic situation of the rural poor improves. Self-reliance though is the first step to such improvement. This roofing product has 100% wage component [self-help], low energy consumption and low cost. The cost works out to Rs 24/- per sq m compared to improved thatch roof, which would have cost in 1986 @ Rs 29/- to 35/- per sq. 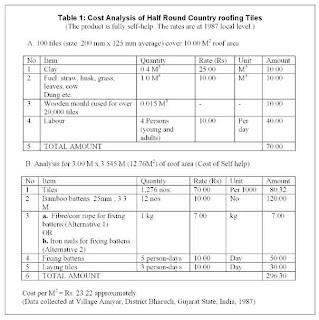 m. (Ref: BRN - 13 of August 1986 by Central Building Research Institute (CBRI), Roorkee). Roofing with country tiles may not be adoptable all over the country. Traditional roofing materials are different according to region. The roof in Rajasthan is made of stone slabs, in some parts of Maharashtra, Andhra Pradesh and Karnataka the roof is flat, made of one meter mud slab provided with skylights and vents, whereas some parts of Karnataka granite stone slabs are used for walls and roofs. Why does the rural population go for Mangalore tiles? The villagers look up to the city as model of good living. The use of Mangalore tiles or R.C.C. roof in rural areas is partly a n urban cult that the relevance or needs or resources. At the beginning they were attracted by the glamour of the city; now it is need for employment. The new generations of potters are moving away from traditional vocations with the advent of education and migrate to urban centres for employment while the city people spend thousands to learn pottery. Unfortunately, the learned and the experts have rejected country tiles as substandard, breakable, and expensive roofing material. Indeed, with the most welcome programme of housing for the rural poor that has come into force, the aid given should not be an instrument of marketing industrial goods for the housing product, but optimum utilisation of local resources – skills – products. It should not look down upon the rural people as an “untapped rural market”, as popular commercial jargon says, to plough back money to urban centres. It should be possible for institutions and organisations such as C.B.R.I., N.B.O., HUDCO, CAPART, NGOs, and government agencies, engaged in research, policy making, training, finance and building to save and revive this centuries old craft, through their housing programmes in rural and semi-urban areas. 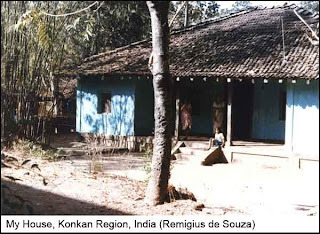 Figure 1: My house in Konkan region on the West Coast of India. 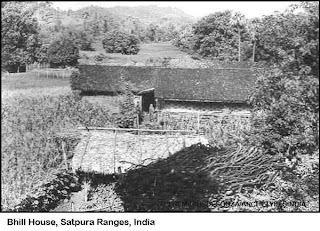 Figure 2: Bhill adivasi (aborigine) house in Satpuda Ranges. Could you name some places in Maharashtra where they make country tiles. I suppose the country roofing tiles are still made in villages in spite of the widespread use of Mangalore roofing tiles. You may have to find the information from the potters (even from those in cities who have migrated from rural areas). Even in my native village the potters are now making bricks, rather than roofing tiles. However I am sure they still have the skills. My native village is Katta-Nandos, Tal: Malvan, Dist: Sindhudurg. The pooters’ wadi is at about two miles, westwards, at village Kunkavale. I am involved in a project for housing for a few families from Bhiwandi who belong to the Warli tribe. I graduated last year as an architect and now practising here in Mumbai itself. I am very keen on using country tiles as roofing with bamboo for reasons you know better than I.
I just realized that my grandfather was a potter too. So, I asked my dad and he almost knows how to make them too. Small world eh! If its alright with you, would like to meet you so you can comment on my proposal (which I am not convinced about yet). Please meet the people you are working for: Warlis. This is the opportunity for you study under the first hand masters on ground, rather than second or third or fourth hand like me. Let us be frank about it. 2. Of course you are welcome to meet me. I have placed some of my research papers on tribal housing, with reference to Warlis, Katakaris and Bhills etc. Please see them, before meeting me. These papers are named "Tribal Housing and Habitat", "Tribal Housing and Art". Sorry I did not give the likns in this paper iteslf. This is a wonderfull information about the Tribals and their culture,livelihood, myself i involved in Tribal Re rehabilitation project subject to low cost housing, if u can provide low cost roofing with Babmoo will be helpfull. Hi there, my home in mumbai has roof with the country tiles. we are looking for people with expertise to repair the same, if you know anyone please share any information @ alimax80@yahoo.com. Any of the villagers are familiar with roof with country tiles and its maintenance. There are many villages around Mumbai. It is better to go around the places... Find people by yourself, and try to bring someone. Thanks for visit. Do come again. I am looking for skilled masons to construct mud house in Konkan regiaon. If you know of any way I can find them it would be a great help. grunge, you can find them locally. You have to search. Sorry, I can't help.